Running a Pay per Click campaign can really benefit for bookie site, especially when it comes to offering your price per head services to your desired targeted audience. 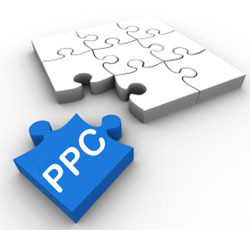 Here is some useful information that can come handy if you decide to start working with PPC ads. When it comes to PPC ads, testing keywords is not complicated at all. First you must write your advertisements using the best marketing copy that you can, focusing on how relevant the text is to the keyword term that you are currently bidding on in Google’s paid search program. Once you have accomplished that and the pay per click campaign is running, you can determine which keyword phrases get your bookie site the most click-throughs (when users click on the ad) and most importantly, conversions (those that click on the ad and actually end up doing business with you, thanks to your great prices and offerings of course). At the same time, you can eliminate the terms with low click-through rates. It is certainly not a good idea to put your cash on broad terms such as [ gambling ] because that type of keywords are heavily searched, which means that the bidding on that type of terms is quite competitive. For that reason, the per-click price of a broad term is likely to be very high. One of the best practices that you can apply if you decide to run a PPC campaign is to bid on every term with a positive ROI and never stop testing. Since you want to draw traffic that can turn into conversions, doing tests on the terms that you are currently working with is the way to go. About 58% of search queries contain 3 words. Users whom are just doing some browsing to find information tend to make use of short terms (one or two words), and generally those searches don’t turn into conversions. When people refine their searches with terms containing 3 or more words, usually means that they are serious about acquiring a service or a product. People is getting more savvy when it comes to searching for what they need online, so they are using broad terms less frequently. When picking keywords for your PPC campaign, remember the long tail concept: Longer search terms don’t get that much traffic, but when people search for them, the chances of obtaining high click-through rates and conversions is high. They are cheaper than broad terms. Their bounce rate (people who clicks on a link and immediately hits the back button to return to the SERP) is lower than that of broader phrases. The fewer the searches for a term, the fewer the clicks it will get, which means that the cost of a PPC ad with a long tail keyword is going to remain low. You can use the data from your PPC campaigns in order to improve the SEO of your bookie site by adding more effective keyword terms that can help you get a better ranking in organic results. If you take your time to brainstorm your keywords and write effective copy, then you can expect to get the results that you are looking for. This entry was posted in Articles on October 11, 2013 by Mark.